You have been a private pilot for years. Now, though, you’re ready to take flight toward the next step in your career. More private pilots are undergoing commercial pilot training now more than ever before. Maybe you’ve been stuck behind a desk for years and need a change. Here’s some good news. As a commercial pilot, you don’t have to worry about office nonsense. Imagine going to work and actually enjoying what you do. We certainly can’t think of another job that’s more stimulating, interesting, and rewarding. Here at Alliance Aviation, we aren’t fans of the whole 9 to 5 thing. For the most part, commercial pilots have groups of days where they’re either “on” or “off.” Such a flexible schedule allows for plenty of family time and opportunities to engage more in hobbies. Why continue to have the same routine five days a week? The possibilities really are endless once you learn how to become a commercial airline pilot. This one’s a no-brainer. If you consider yourself a travel junkie, then a commercial pilot position may just be your dream job. Depending on the airline you work for, you may be entitled to inexpensive seating and discounted seating for family members. Getting paid to see the world sounds like a pretty good gig if you ask us. So then why not get started with commercial airline pilot training? In 2015, The Bureau of Labor Statistics reported a median pay for airline pilots of nearly $115,000. As the cost of living continues to skyrocket across the U.S., a pilot salary can help you achieve your financial goals and allow your family to live comfortably. The majority of office workers live in or at least near the same city they are based. However, commercial pilots don’t have such a limitation. You will basically have the freedom to live anywhere you want, whether that’s “in base” or a completely different location. Aside from remote positions, you won’t find many jobs that offer this kind of flexibility. 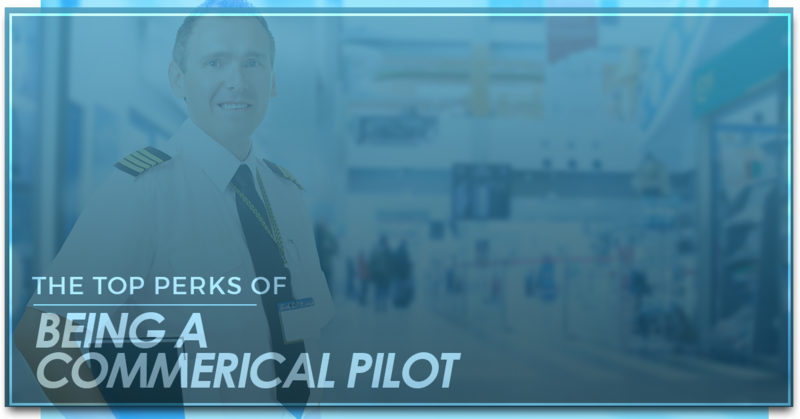 Now that you know some of the perks that come with being a commercial pilot, what’s the next step? Your best bet is to do some research of your own. See what’s offered at accelerated flight schools and what requirements there are, if any, before enrolling in a program. Alliance Aviation makes it easy to become a commercial pilot. Whether you’re seeking accreditation from one of our flight training programs or are looking to catch on with a commercial airline, we would be thrilled to serve as your guide. Our aviation training courses are designed for those who love flying just as much as we do. As world travel becomes more popular, you can count on airlines to search for a number of new hires. Your dream job is right there for the taking. Contact Alliance Aviation or enroll in one of our programs.